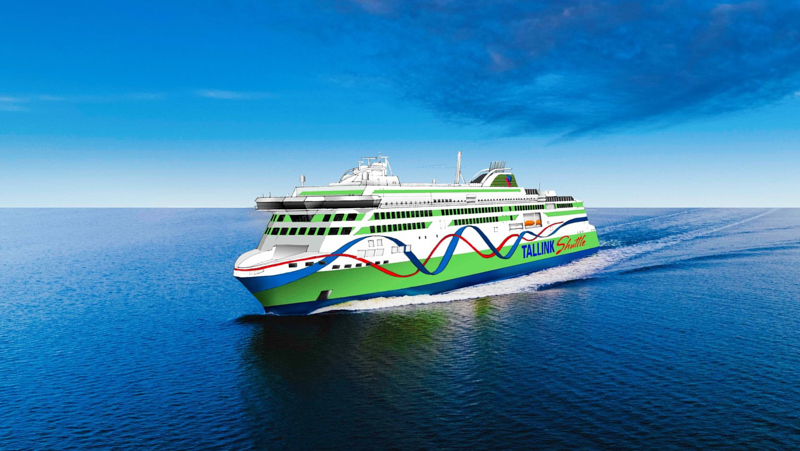 AS Tallink Grupp and Rauma Marine Constructions (RMC) recently signed the contract for the construction of a new LNG-powered shuttle ferry for the Tallinn-Helsinki route, which entered into force on 27 March. The delivery of the vessel is expected in January 2022. The new shuttle ferry will also benefit from the recently signed cooperation agreement with Tallinn Technical University, the aim of which is to develop innovative Smart Car deck solutions for the group’s vessels to enhance the loading and unloading operations and make them compatible with the already existing Smart Port solutions at the Port of Tallinn. According to the contract, 30% of the total cost will be paid during the construction period and the rest after the delivery of the vessel. AS Tallink Grupp plans to finance 70% of the new ship cost in 2022 by long-term loan, the loan terms will be concluded in the near future. The ship in question was built in Italy by Cantiere Navale Visentini and delivered in 2011 to Caronte in bare boat charter and from 2013 sub-chartered out to Irish Ferries. The latter still operates the vessel today.